We are here Venice sent over 50 letters to the curators of national pavilions, collateral events and parallel exhibitions whose press previews coincide with the Architecture Biennale vernissage, inviting them to help spread the word and show moral support for our appeal for the survival of Venice and evidence based approaches to policy making. Responses have been good and varied. 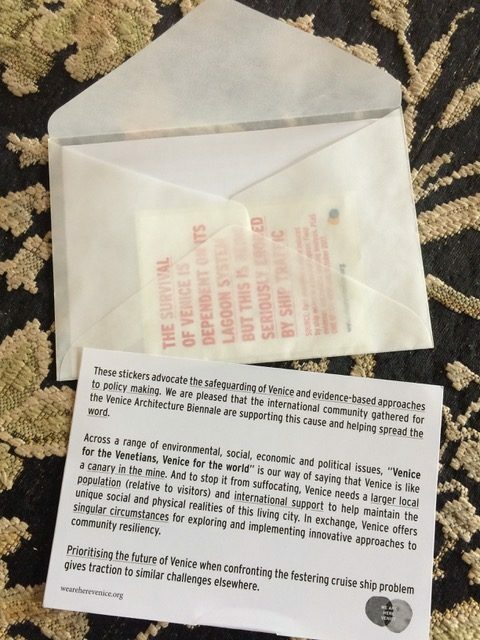 Many immediately opted in to adding WahV’s Campaign Stickers to their official press packs, while other curators offered instead to personally endorse the campaign by giving the stickers directly to journalists and opinion leaders. Some proposed disseminating the stickers during specific public events or placing them on counters inside exhibitions. 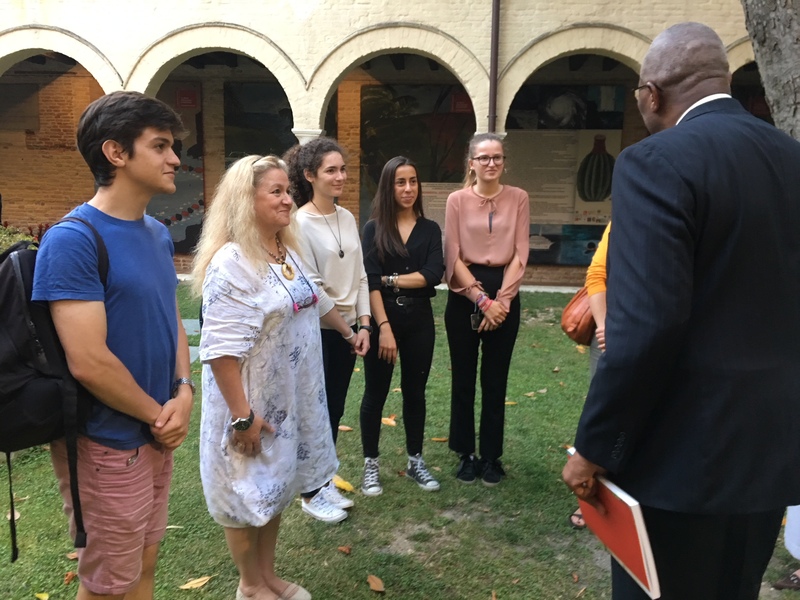 We have also seen the issue transcend into other institutional spheres, for example, the Curator of the Danish pavilion took to discussing the matter with the Minister of Culture and ARUP are discussing adopting the campaign at some corporate level. Further distribution of stickers will continue during the course of the Biennale. This initiative encapsulates the WahV strategy of combining research and action. The range of reactions triggered by sending personal letters provided insight into institutional workings and the way words can become actions or just retain their weight as words. 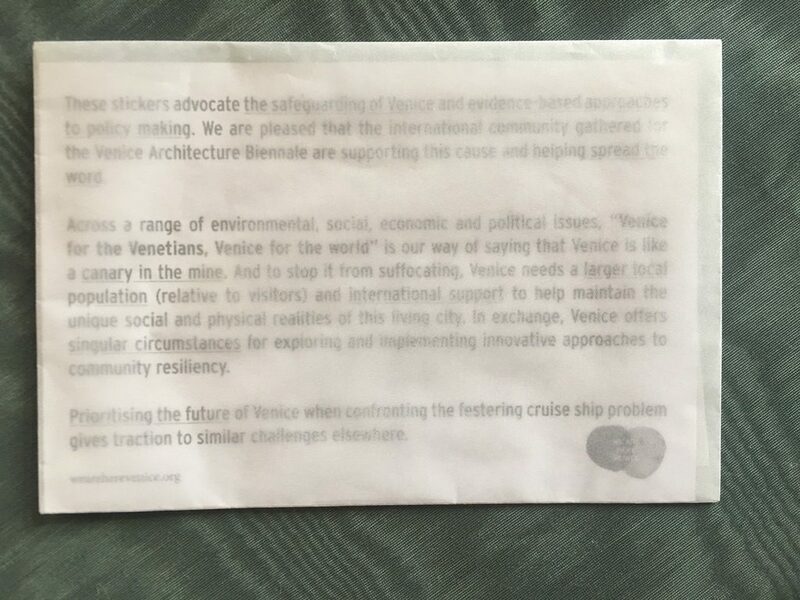 The stickers give country representatives a way to make their position visible regarding cruise ships damaging Venice which is perceived as moral support for the city and its residents. Cruise ships have become visibly off scale compared to Venice. 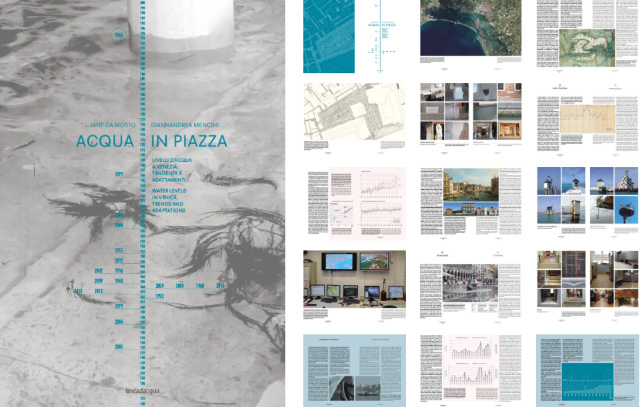 Venice’s vocation as a “port city” is challenged by the physical and ecological limitations of the fragile lagoon and urban environment now that cruise ships have become enormous. 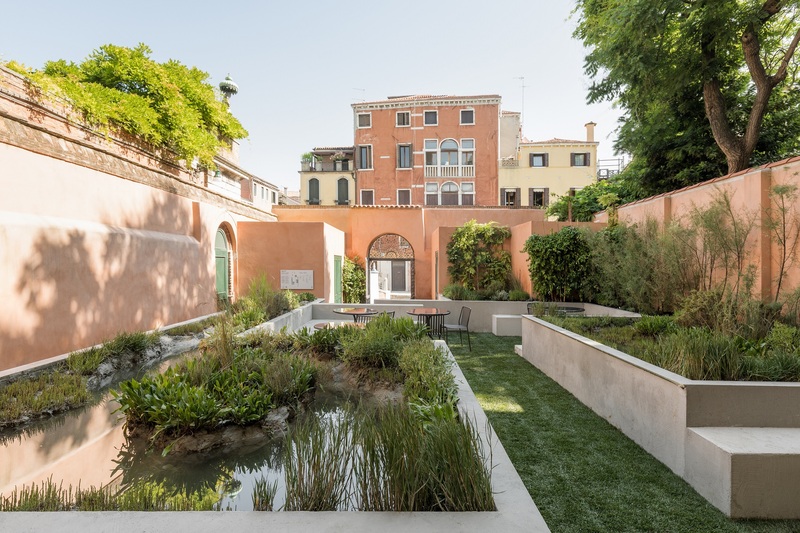 This was made evident when berthing began in Riva Sette Martiri, near the entrance to the Giardini of the Biennale. 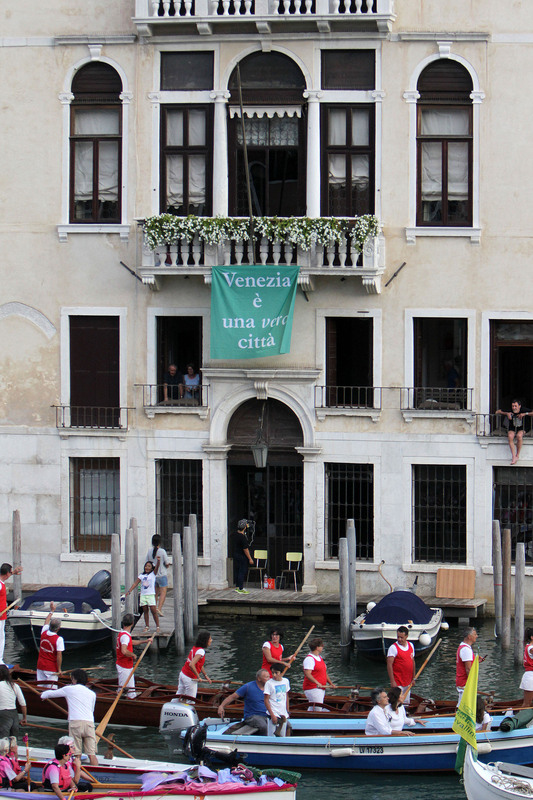 Jane da Mosto has been actively engaged in Venice’s cruise ship resistance since 2008. The Venice Report (Cambridge University Press, 2009) signalled the perils for the Venice lagoon system of growing this type of traffic. Opposition continues to intensify as the ships get bigger and in the face of persistent political uncertainty. 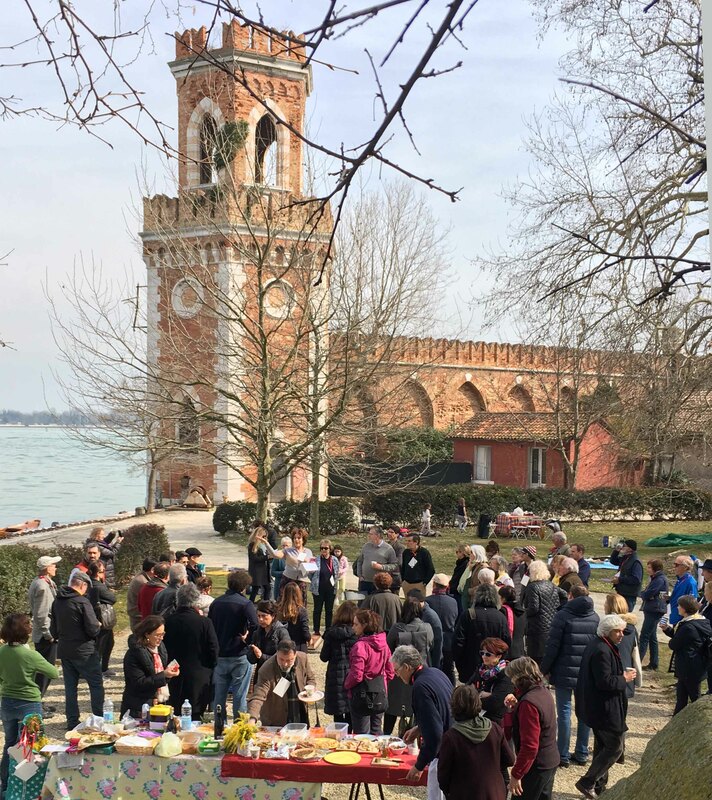 In all of this time, almost every single visitor to Venice that Jane da Mosto has met has expressed dismay and heartfelt concern for Venice considering the seemingly unstoppable passage of large cruise ships through the heart of the city. A series of misconceived plans to reroute the cruise ships have been put forward and rejected or lost in the haze of central government policymaking. No articulated inter-disciplinary, objective, comparative analysis of all available options has been carried out yet. Why target the international curators? There were two dimensions behind this decision. Firstly, the virtuous example of the Korean Pavilion at the 2017 Art Biennale gave us the idea that other curators might be similarly inclined to reciprocate the beauty of their host city with support for safeguarding its future. Secondly, this is an appeal relevant to everywhere in the world — to adopt a rational approach to complex problems, based on the best available scientific knowledge. WahV is well positioned to coordinate an objective and informed multi-stakeholder, interdisciplinary working group to first define the “state of knowledge” in the respective spheres with respect to cruise impacts and activities. Secondly, each sphere must be guided in determining the “limits of possibility” for each set of interests (cruise business models; associated services and suppliers; lagoon ecology and impacts of different ship sizes/shapes/speeds; tourism and the city; territorial distribution of costs and benefits; other economic activities that are overshadowed by cruise business etc.). Via scenario development, the possible options will emerge. The emphasis is to work from the point of view of safeguarding Venice as a living city and the cruise business, like anything else, will have to model itself to those parameters. 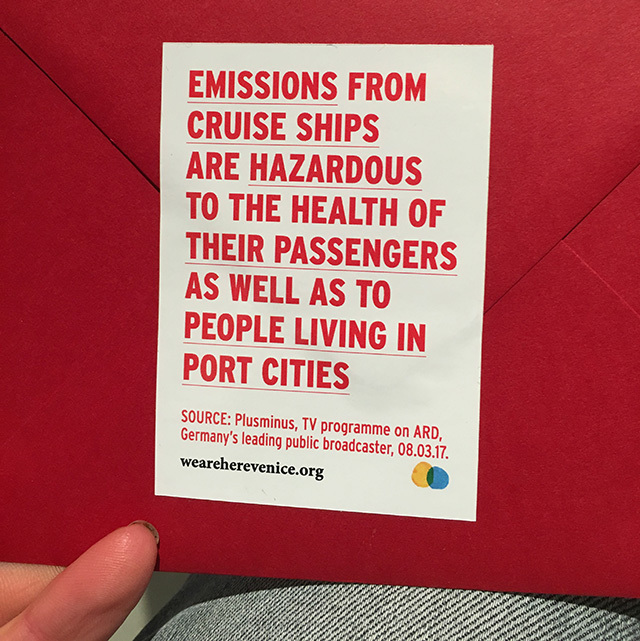 Misguided thinking addresses the issue by setting the wrong question of what to do about cruise ships. We will be asking what do do about Venice!